Mr. Scordamaglia (Italian Food Industry): "We are in favour of a shared European system"
common battles and joint initiatives instead of acting separately", said Mr. Luigi Scordamaglia, Chairman of Italian Food Industry Assiciation, at the meeting "The correct food label that informs without misleading" organized by MP Paolo De Castro and Elisabetta Gardini with the support of the European Socialist and Democratic Group (S & D) and the European People's Party (EPP) of the European Parliament, Coldiretti, 'Observatory on Crime in Agriculture and on the Agri-Food System, and Federalimentare. Member States to run their national campaigns. Since the beginning, together with Coldiretti, Federalimentare has criticised the British traffic light system, the scheme proposed by multinationals and subsequently the French Nutriscore". Why the Italian industrial world is against this system? 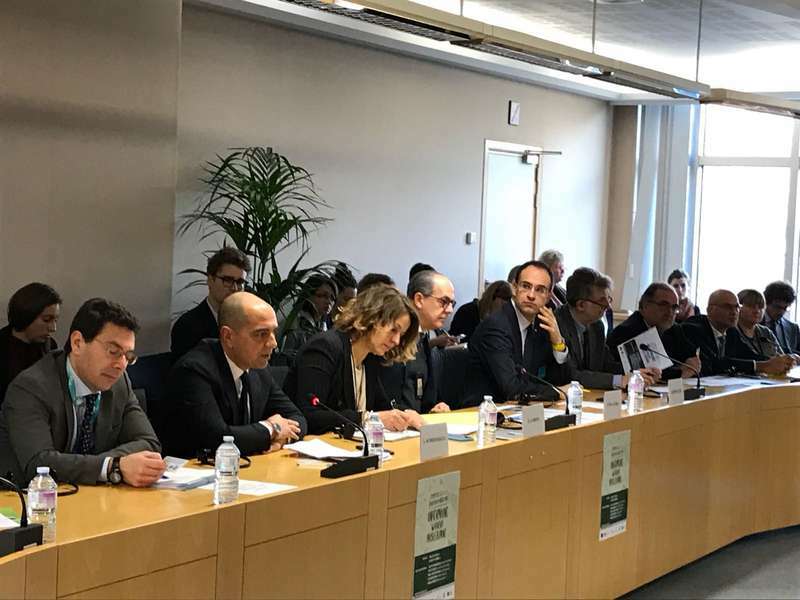 "We are in favour of a shared European system which should be transparent, based on solid scientific evidence, non-discriminatory, aiming at informing and not influencing, helping consumers to follow a balanced and adequate diet with a healthy lifestyle". 1) These systems are not based on scientific evidence and in 2008 it was underlined also by the European Food Safety Authority (EFSA), which defined them as “nutrient profiles with scientific limits”. 2) They are discriminatory because they criminalise high quality products (PDO, PGI), which are at the basis of European food excellence. Moreover, they tend to encourage the unlimited consumption of food in which natural ingredients are replaced by lowcost chemical additives. 3) They are simplistic and misleading systems leading consumers to incorrectly think that following a healthy diet would mean choosing products with synthetic sweeteners/chemical sugar substitute. On the contrary, we all know how important it is to eat high-quality and natural products and to adopt a healthy lifestyle every single day". lowest price to by-pass the increase of prices. Prohibitionism is ineffective, but a non-stop food education is needed. The nutritional label should be based on the GDA scheme to make consumers aware of the amount of energy and nutrients contained in a single food portion in relation to the daily intake with the use of easyto-read symbols (cakes, columns or others) on the packages".